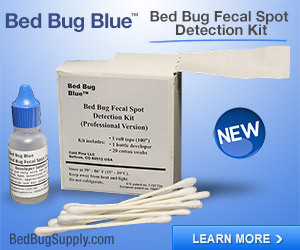 The Gateway Center, a building in Covington, Ohio Kentucky where 5,000 IRS employees work, has bed bugs. Gateway Center officials said that after the first bug was found on the third floor in October, all floors were chemically treated. Those treatments are scheduled on a monthly basis, officials said. The IRS building employs 5,000 workers at its Covington offices, and it told employees for what to look when they find a bug. An IRS representative said that employees have found as many as five bugs in the past couple weeks, but the representative said that the company has been working with OSHA and an exterminator to keep things in check for the past two months. “In check” is not enough. 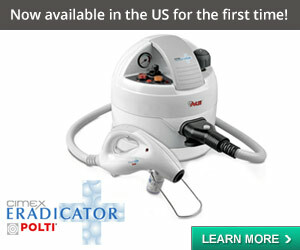 And monthly treatments may not be–many PCOs tell us they treat at about 2-week intervals. 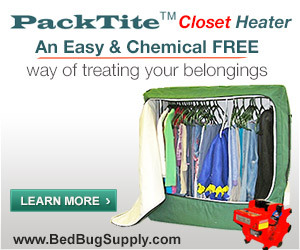 We know bed bug eggs can hatch within that timeframe, and leaving things longer can mean more hatch, feed, and begin growing to where they can breed. “I don’t even really know what they look like,” Gateway Center employee Joy Fox said. Maybe the memo was not enough. 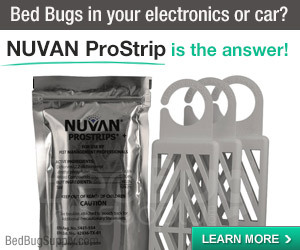 It sounds like the building needs to employ the most knowledgeable PCO firm they can, enlist their help in educating all employees not just on what bed bugs look like, but how they travel from here to there. 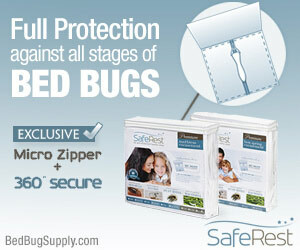 Every single employee should (in my opinion) have their home inspected for bed bugs. People could be bringing them from home repeatedly. However, since it sounds like the sightings are not isolated to one person or department, it is “people,” rather than one person. 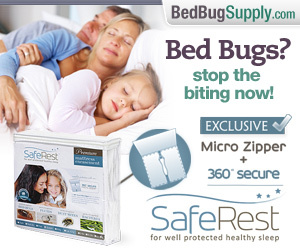 And wherever the bed bugs came from, they can now be going home with just about anyone. 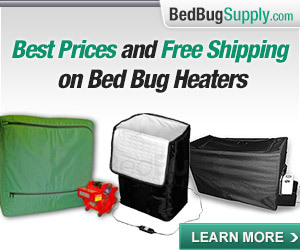 Those employees need to know how to identify bed bugs, and they also need to know that Dr. Michael Potter estimates as many as 50% of people may be bitten and have no itchy bites (source linked here). 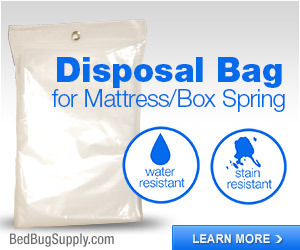 Everyone should realize that seeing five bed bugs in broad daylight means there will probably be many more present. One also wonders what’s being done besides spraying and (some kind of) an education campaign? If people getting treatment in their homes and dorms have to have posessions carefully inspected, possibly bagged for some part of treatment, and carefully exposed, then surely a place of business would have some kind of “prep” on its hands as well? You can read the rest of the article from WLWT online here. Update 1/12/2008: Although WLWT says the Gateway Center is in Covington, Ohio, a reader pointed out that it appears to be in Covington, KY.
Why, why are they treating once a month? Local IRS Spokesman Chris Kerns says there has been a problem since October, but it is not an infestation. I’m told definition two, below, does not apply to bed bugs, because bed bugs are not parasites in that they do not live in or on us (though they live “off” of us). 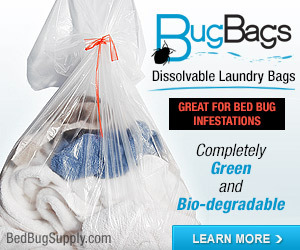 I would argue that–given bed bugs’ ability to breed quickly and produce copious offspring, and given the fact that they live off of our blood, and given their propensity to spread within a structure and, given the chance, outside of it by “hitchhiking”–for all those reasons, if bed bugs are living in your space, it is infested. 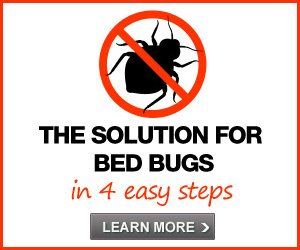 Of course, we know that finding and catching five bed bugs means there are oh so many more. Still, the word “infestation” is bad for morale. It’s almost tax time, no less. What words might be more appealing? 1. To inhabit or overrun in numbers or quantities large enough to be harmful, threatening, or obnoxious: rats infesting the sewers; streets that were infested with drugs. 2. To live as a parasite in or on: livestock that were infested with tapeworms. ETYMOLOGY:	Middle English infesten, to distress, from Old French infester, from Latin nfestre, from nfestus, hostile. See gwhedh- in Appendix I. You must mean spattering! Haha. No, I can’t play, I can’t think of any that wouldn’t frighten the good tax people. The appropriate ones, like murder (and shiver!) are taken. A creep of bed bugs. I liked the fact that the facility educated employees about bedbugs, and that OSHA was involved. If bedbug infestations are somehow covered under OSHA rulings, any workplaces that have bedbugs (including hospitals, hotels, firehouses, schools) will have to comply. Yes, Keets– OSHA is certainly good and so is educating employees (though Joy Fox’s comments in the article–about not knowing what bed bugs look like–suggest more education and information may be needed). Update: a reader pointed out that the Gateway Center appears to be in Covington, Ohio, not Covington, KY, despite WLWT’s claim otherwise, though Covington, KY is in the Cincinnati area. So this is Cincinnati essentially. The Cincinnati (metro area) story gets ever more interesting. I remember where I’d heard of Covington before. The PCO who participated in Dr. Potter’s 2005 Cincinnati field trial is based in Covington. What you’re doing is called spam. I deleted your other (very similar) message in the Ohio Hilton Lawsuit thread. 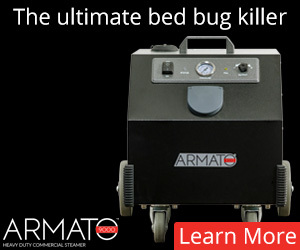 Professionals in the bed bug industry are welcome to participate here IF they abide by the site’s terms and conditions, which include not using the comments to advertise businessnes you are connected with. Please read the terms and conditions (there’s a link in the navigation menu at top center). 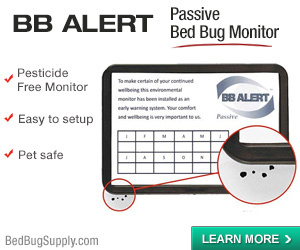 Also, the insect at top right on the website you linked to http://www.bedbugdoginspection.com/ (http://www.bedbugk9.com redirects there) appears to be a flea. I love the main photo on that page though–the one of the handler and the yellow lab. Any infestation in a Public School or Government Bldg is almost impossible to eliminate due to the infestation of bureaucrats that will prevent any treatment or application that may actually have a chance of working. 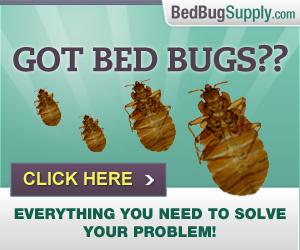 This is probably the main reason for the resurgence of bed bugs. 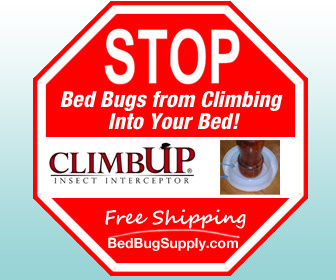 The government destroys our quality of life in their misguided politically correct attempts to protect us from “CHEMICALS & POLLUTANTS” I will take the chemicals and pollutants over bed bugs anyday or night but of course the bureaucrats don’t give us a choice. Can anyone here tell me the legal obligations of a landlord whose apartments are infested with bedbugs? 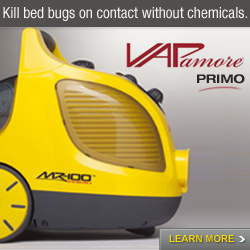 Is he obligated to hire professional exterminators? He’s attempting to handle the problem with well-meaning amateurs, but the problem is getting worse. We’ve had the problem for about 2 months, but to be fair, we identified the problem about a month ago. I live in the Northern KY area near Cincinnati. I am covered with about a thousand bites. Polysporin type ointments with pain relief stops the itching, and hopefully will prevent scarring, too. Sorry, I don’t yet have information on the landlord/tenant situation in Northern Kentucky. I suggest finding a tenants’ rights organization in your area. They should know more. In some areas landlords have to hire a professional. In addition, in some areas, laws are specific about how quickly problems need to be resolved. You should find out from the tenants’ org whether there’s a body that inspects housing for problems like this (which may be a dept. of health or a dept. of housing). Sorry we can’t be more help. now we have them in philadelphia- it must be an irs thing! bp, If you want to give me more details, I am all ears. You can email me via the contact form!